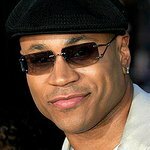 LL Cool J will help launch his wife’s new jewelry line in New York this weekend, at an event that will benefit charity. HIRSHLEIFER’S welcomes friends and supporters to a very special evening on Saturday, November 5, with a commitment to having fun in the name of charitable giving. The event will see gathering of old and new friends to help celebrate the launch of Simone I. Smith’s eponymous jewelry, and a live auction presided over by her husband – entertainment icon LL COOL J. All proceeds raised from the evening will be benefiting The American Cancer Society and Long Island Cares. The Why Fashion Matters event takes place at 6:30pm at HIRSHLEIFER’S, AMERICANA MANHASSET, 2080 Northern Blvd., Manhasset, New York.